All Souls pantomimes are a Southport institution. 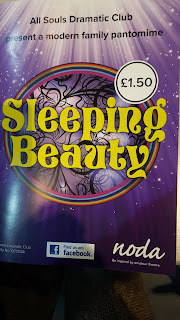 All institutions need to adapt to survive and All Souls did that gloriously with their Sleeping Beauty show this year. There was an exciting and innovative use of high quality video not just in the opening sequence but throughout the show that added to the production. 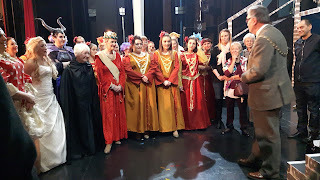 Nothing was lost from the traditional format we had all the usual gender bending devices; a script writing Dame, a principal boy, a precious item the audience have to guard ( a dragon slaying sword) and masses of audience participation- oh yes we did. The jokes were the proper blend of those that made you laugh out loud, or groan, the risqué and the parochial. 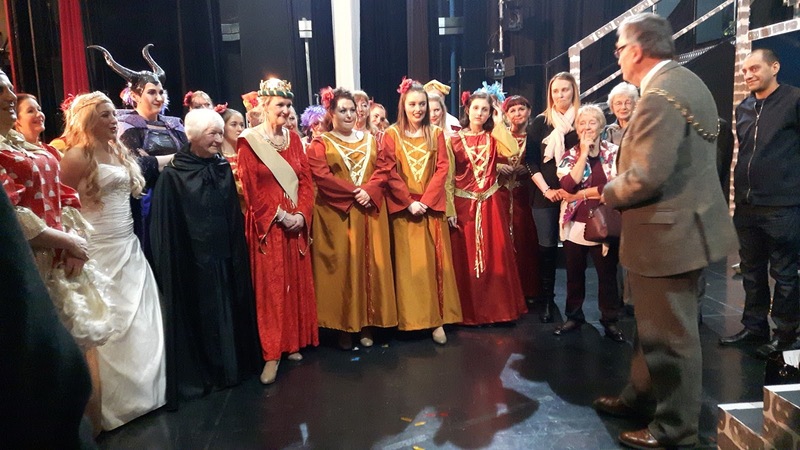 The show concluded with the Dame and her son leading an enthusiastic audience sing-a-long by which time we all felt we knew one another as most of the groups visiting had been name checked. All Souls have a loyal and growing audience-over 3,500 people have already booked for this year. They have kept the pantomime fresh, we even had a post modern feminist twist at the end. The principal boy -who is a bit of a wimp- and is of course a girl- fails to slay the dragon with the magic sword. The princess seizes the sword and decisively slays the dragon. Excellent stuff. At the end of the show I got to meet the cast. It was a great pleasure to attend.